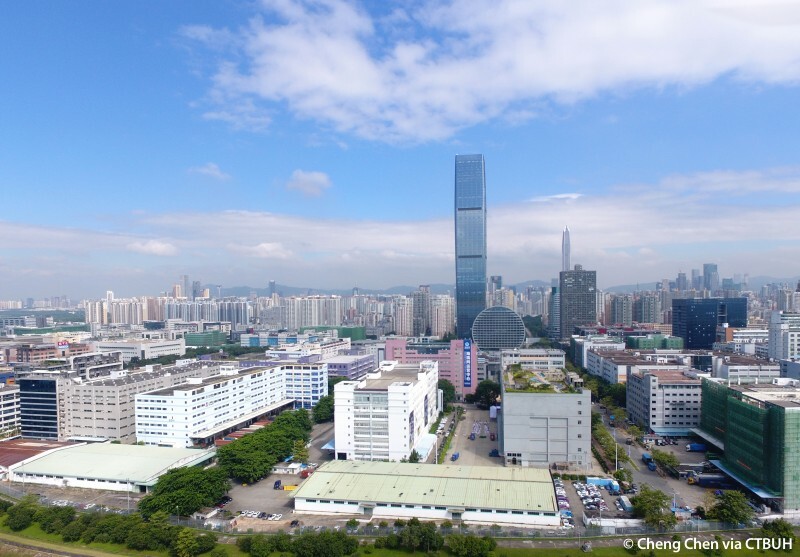 Located within the Shenzhen Bonded Zone, the southern portion of the city alongside the boundary with Hong Kong, the Shenzhen CFC Changfu Centre soars above its immediate neighbors. 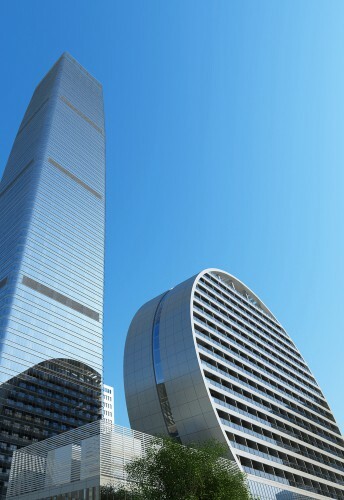 The supertall office tower is part of a two building complex which includes a shorter 100 meter tall apartment building with a disc-like form. 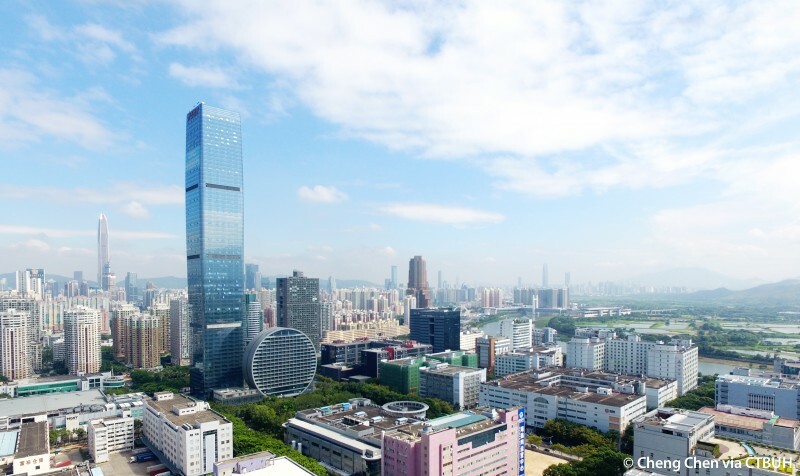 Both buildings hold their respective shapes as they interact with ground, meeting a large open plaza space serving as a community amenity, rather than a interconnecting podium as is typical for tall building complexes in China. Both structures in the complex were built simultaneously, starting with a caisson (drilled pile) foundation and deep excavation of the entire block. A four story basement then spans the block and links the two towers, the taller of which was then built with a composite frame of steel columns and beams, all then encased in concrete. 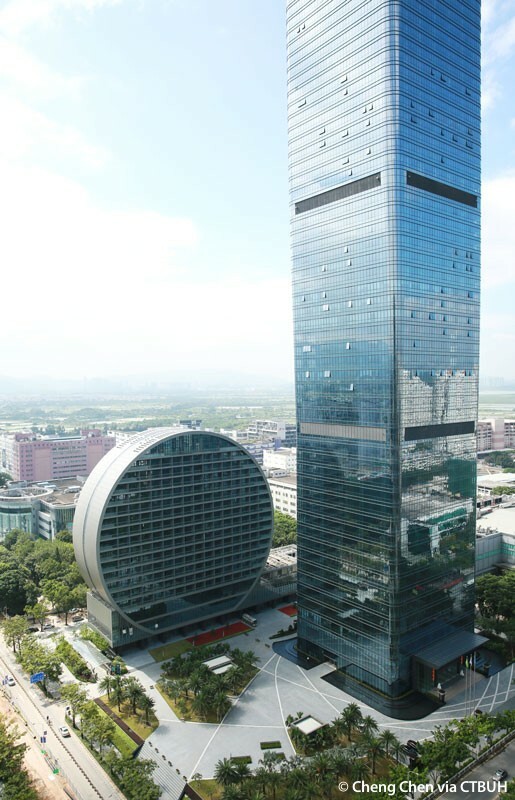 The Shenzhen CFC Changfu Centre was then covered in an external framework to hold the curtain wall façade which covers the building in a smooth glass exterior. 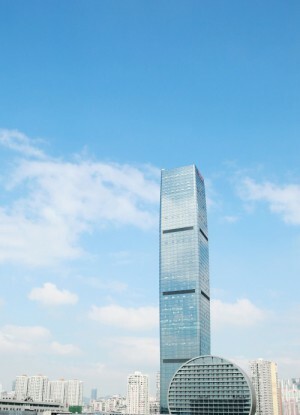 The tower is square in plan with rounded corners and bows outward towards the building’s midpoint, after which the form tapers inward. 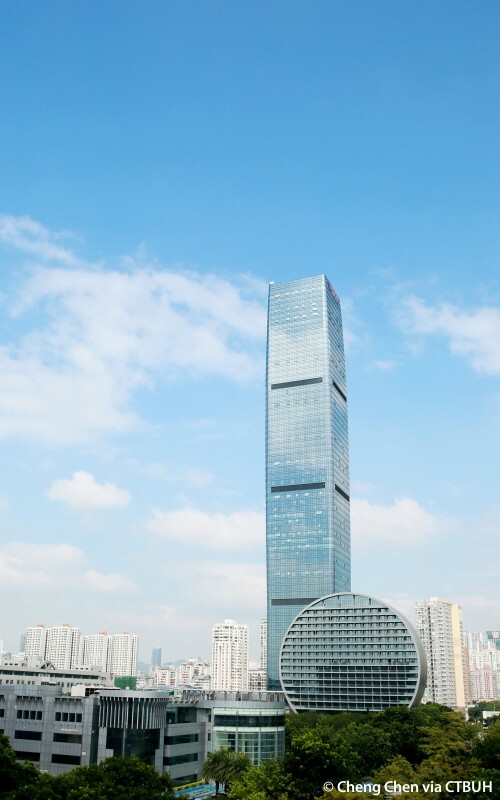 The perimeter of Shenzhen CFC Changfu Centre’s floorplate was designed to be proportionally one half of the tower’s overall height and as such, totals 150 meters in length. 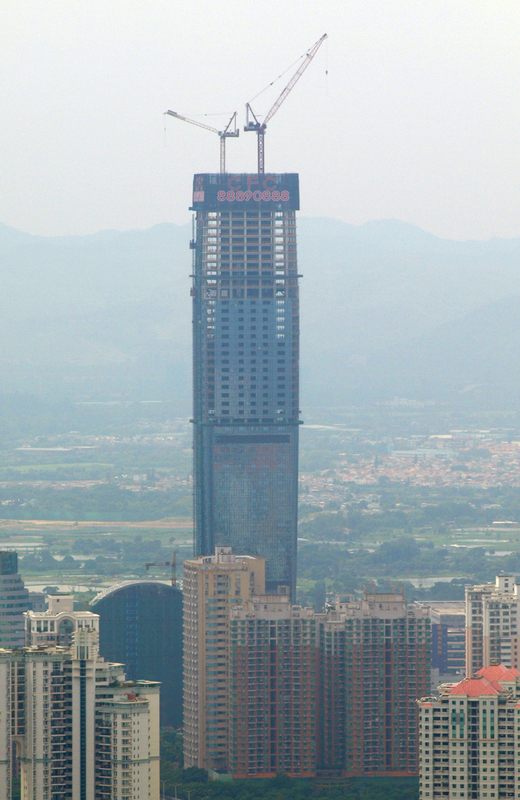 Shenzhen CFC Changfu Centre was the first building of at least 200 meters to be constructed within the Bonded Zone and will maintain a highly visible presence in Shenzhen due to its location at the southern edge of the city, standing among the first line buildings to be seen when viewing Shenzhen from Hong Kong immediately to the south.